Similar to their first meeting this season, the No. 1 Wisconsin women’s hockey team (21-3-0, 11-3-0 WCHA) and the No. 2 Minnesota Gophers (22-3-1, 12-3-1) traded wins during their two-game series in Minneapolis. 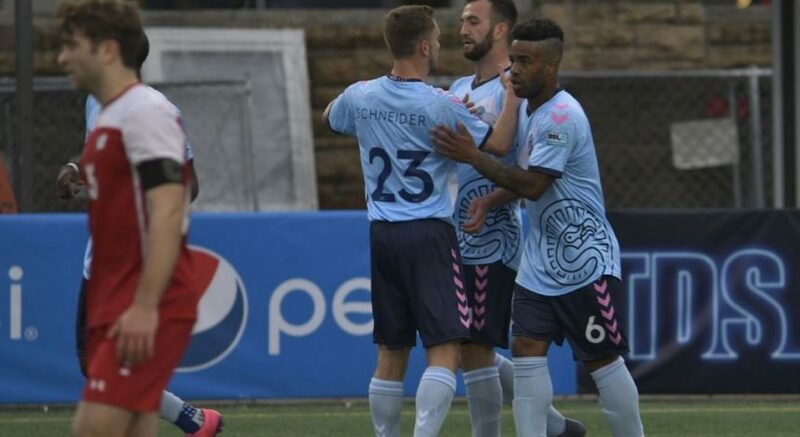 The two heavyweights remain seemingly deadlocked in both talent and execution, as neither team can manage to gain a consistent advantage over the other. 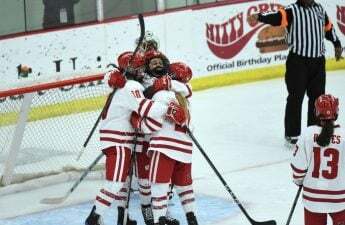 Wisconsin managed to scrap its way to an opening game victory against its rival with a game-winning goal late in the second period from redshirt senior Maddie Rolfes. While this was only Rolfes’ second goal of the season, it was certainly her most valuable, as it propelled the Badgers to a decisive victory at Ridder Arena. Still, Wisconsin had to earn the win, as the Gophers rattled off 17 shots on goal following their early second-period goal from Nicole Schammel. Junior goalie Kristen Campbell came through for Wisconsin’s defense, as she managed to stop all of Minnesota’s shots following their lone goal in the opening 20 seconds of the second period. Saturday’s game, however, was a different story for the Badgers, who ran into an exceptional performance from Minnesota goalie Sydney Scobee. Wisconsin managed to outshoot the Gophers nearly two to one, yet netted only one goal the entire game compared to Minnesota’s three. 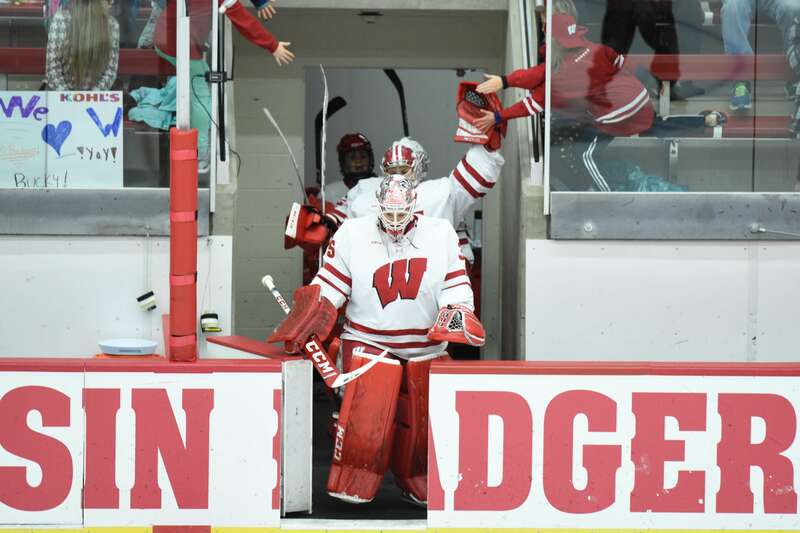 Scobee boasted an impressive 37 saves, effectively limiting the explosive Badger offense. Other than a second-period goal from freshman Sophie Shirley, the Badgers were reined in by an impressive display of goaltending. While splitting the second edition of the Border Battle certainly wasn’t what the Badgers had hoped for, the result does not remove them from their strong position on the national stage. The Badgers maintained their No. 1 national ranking, but still remain second in the WCHA standings behind Minnesota. 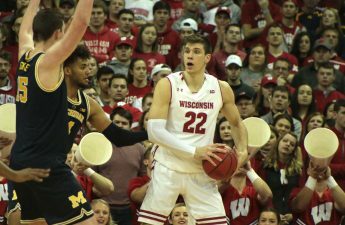 But with more games remaining on their schedule than the Gophers, the Badgers will have ample opportunity to claim the top conference spot as long as they handle business against weaker teams that they have handily defeated this season. Moving forward, look for the Badgers to build momentum with strong performances in their upcoming series as they wrap-up their season against Minnesota State, Minnesota-Duluth and The Ohio State.